Anyone heard of Warcraft? If you’re a computer games junky, the odds are you will have. Warcraft started out in the 1990s as a real-time computer strategy game, from Blizzard, pitting orcs against humans in the fantasy world of Azeroth. The game swelled in popularity until it eventually gave birth to Warcraft the MMORPG (Massively Multiplayer Online Role Playing Game) which in turn grew into such a beast it was only a matter of time before Hollywood unleashed it upon the world through celluloid. The world of Azaroth is a verdant one, rich in magic and populated by a number of races – humans, dwarves, gnomes and elves. Though they may not live in harmony with each other, the races do live in peace. Led by their shaman, Gul’dan (Wu), a seriously evil dude powerful in the fell (a form of magic that draws its power from the death of living beings), the orcs create a portal from their devastated homeworld, Draenor, to Azeroth where they intend to subjugate and rule over the existing races. Standing against them are the humans with their wizard allies, chief of which is Medivh (Foster) the Guardian, the badest-arse spellslinger in the realm. Helping him is Khadgar (Schnetzer), an apprentice wizard, and Sir Anduin Lothar (Fimmel), military commander of the human forces in Azeroth, King Llane Wrynn’s (Cooper) right hand man and a blending machine with a sword. Initially, the orcs seem unstoppable but the humans have an unlikely ally in the orc warleader, Durotan (Kebbell), who, like many of his fellow orcs, dislikes Gul’dan not least because the shaman’s evil magic has devastated the orc homeworld. Gul’dan’s lust for power overrules his respect and adherence of the orcish traditions – and nothing gets under an orc’s green and warty skin like someone who disses their traditions! So how does it end? In lots of blood and steel and orcish grunting! What’s to like about the film? Visually, Warcraft is ace – with its sweeping landscapes, snow capped mountains and sprawling forests. The action is suitably gritty and the armour and weapons have that ridiculously oversized, caricatured look, that films like Lord of the Rings and the Hobbit encouraged. 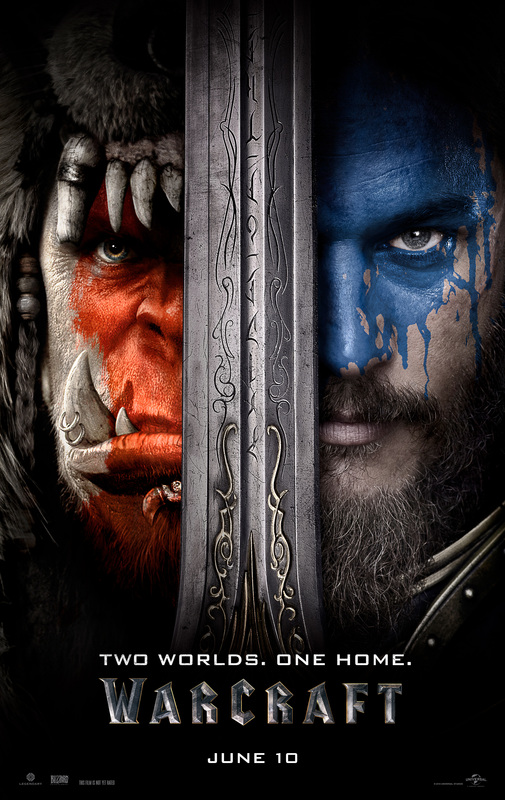 Where Warcraft does have the edge on the Hobbit, is on the magic front. Magic is common in Azeroth and wizards throw the stuff around like confetti and thanks to some nifty CGI wizardry, boy does it look good! On the down side, where Warcraft really falls is the quality of the writing and performances. For a film that is supposed to be about a war between humans and orcs, there was not much warring going on. There was obviously some attempt to spice the story up with sub plots about the orcs’ growing resentment at Gul’dan’s evil ways and contempt for their traditions but this was woefully thin. While the acting, though not bad, wasn’t inspiring either. 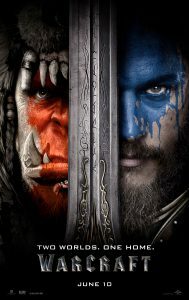 Overall, Warcraft is light on action, story and humour and has a plot that whizzed around so quickly it is impossible to immerse yourself in the world or be invested in any of the characters. This results in audiences feeling bored, perplexed and frustrated. This is obviously a film for fans of the genre and the Warcraft game, so if ‘Lord of the Rings lite’ is your thing, you’ll probably find Warcraft satisfying until the next instalment of orcish mayhem from the world of Azeroth!